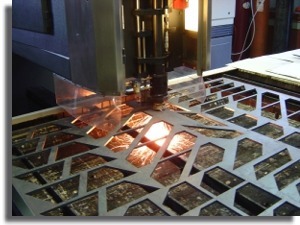 Precision Laser offers a full range of laser cutting and die making services. In most cases, we can get your order out the door in 1-2 days. If you need it faster, let us know. We’ve been in this business for more than 30 years and in that time we’ve earned a reputation of quality and value. We’ll do your job right, on time, and we’ll help you find the best solution for your budget. We accept designs, drawings, and patterns via e-mail. If you don’t see what you’re looking for on this Web site, please give us a call or e-mail us with a description of your project. From greeting cards to complex jobs—we handle a wide range of projects. We specialize in creative solutions and enjoy the challenge! That’s why we’re proud to serve as advisor for the renowned Rhode Island School of Design (RISD). Let our experience, advanced technology, and personal attention save you time and money!